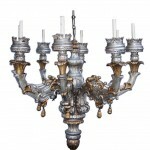 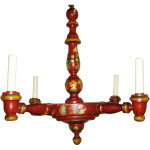 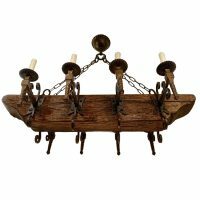 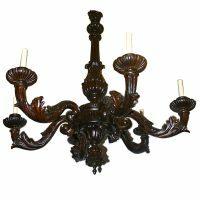 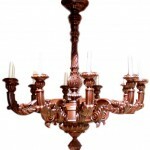 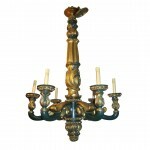 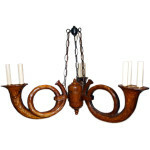 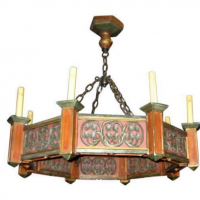 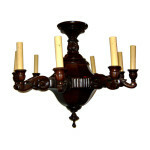 A circa 1900's Italian 6-arm carved wood chandelier. 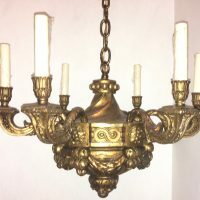 Measurements: Height: 52" Diameter: 39"
An Italian circa 1920's silver leaf wooden chandelier with gilt details, scrolling motif on arms and body and gilt tassels on arms. 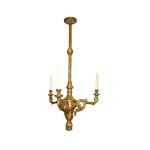 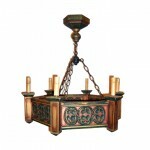 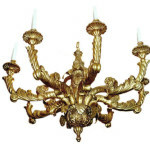 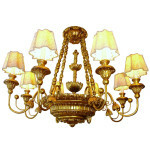 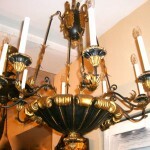 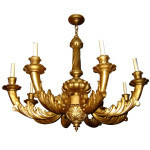 Measurements: Diameter: 46" Minimum drop: 54"
A circa 1920's eight-arm Italian painted wood and gilt metal chandelier. 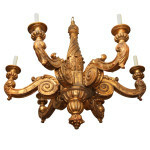 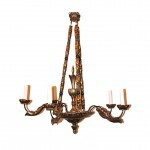 Measurements: Height (minimum drop): 30" Diameter: 30.5"
A set of 6 turn of the century French carved and gilt wood chandeliers with original patina. 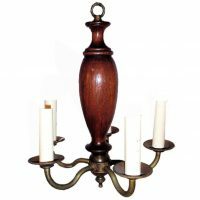 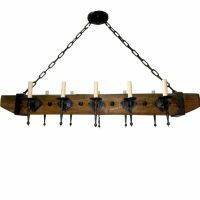 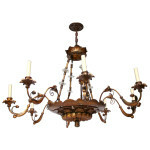 Measurements: Height: 27" Diameter: 39"
A circa 1940's Italian wooden chandelier with 5 lights. 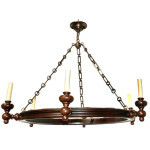 Measurements: Height: 13" Diameter: 10.5"